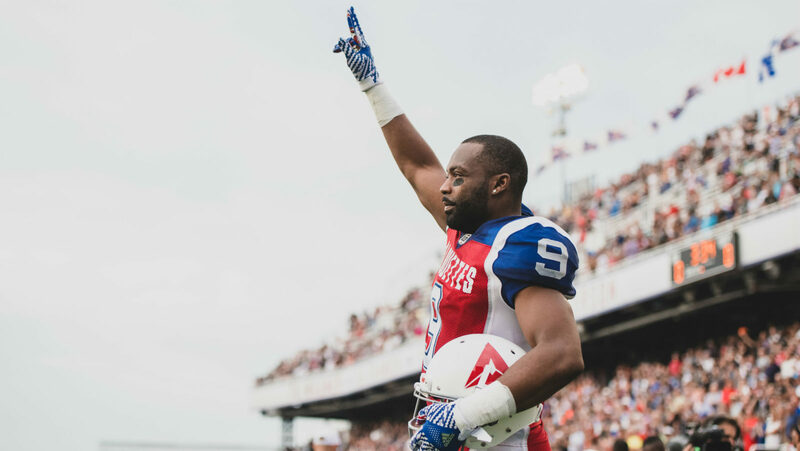 MONTREAL — The Montreal Alouettes announced on Tuesday that the team has signed international receiver Ernest Jackson to a new one-year deal. Jackson (6’2″, 220 lbs.) played 97-career games in the CFL, hauling in 364 passes for 4,862 yards and 27 majors, maintaining an average of 13.3 yards per catch. The Rochester, NY native played seven seasons in the CFL with the BC Lions, Ottawa REDBLACKS and Alouettes. Last season, the 32 year-old receiver caught 52 passes good for 642 yards and one touchdown. In two seasons with the Alouettes, he amassed 1,409 yards on 112 catches and seven majors. The former University of Buffalo Bull joined the Alouettes in February 2017 after winning his first Grey Cup with the Ottawa REDBLACKS in 2016. That same year he was named an East Division and CFL All-Star.